Dramatherapy is an effective method that is quite broad in what it offers: it can be expressive, exploratory and enlightening in ways that we can't access through talking alone. In a dramatherapy session we have the opportunity to describe aspects of our experience through creative processes. For instance, we often use metaphors in our everyday language. This symbolic language can bring imagery to mind which, through dramatherapy, we can connect to aspects of ourselves we may have previously been cut off from. The role of imagination and creativity in therapy is effective in its ability to heal and, where words aren't enough, we can explore and bring awareness of ourselves through imagery, story narratives, metaphor and characters. ​Using creative activities or our imagination provides an emotional distance which is how creative therapy can feel like a safer way to work and helps to effect change much quicker. Sometimes people are concerned about whether they can do it, that they might look and feel silly, or they think they may not be good enough, or creative enough to benefit from dramatherapy. 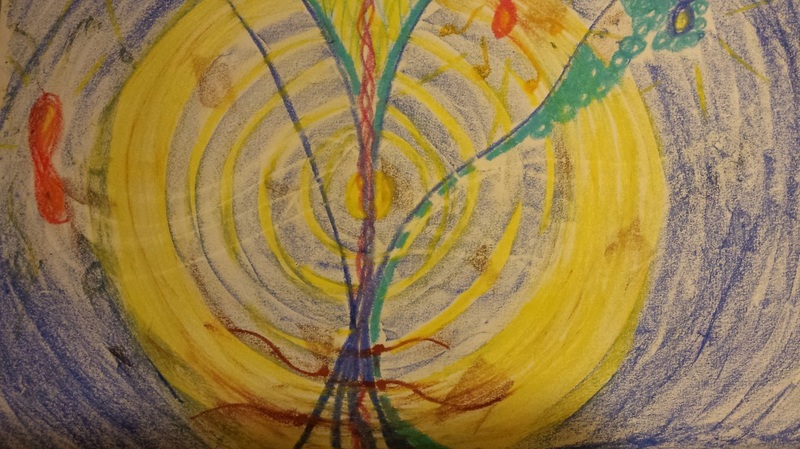 There is absolutely no requirement for clients to have had any experience of the arts, or even see themselves as creative, in order to gain positively from creative therapy. In fact, its often easier for non-arts trained clients to engage artistically in the arts therapies as they haven't had the training ingrained to create a 'good product'. If working in this way is new to you it may seem unusual and feel alien, however many many people have reported how beneficial they have found it to work creatively within their therapy as well as a large body of research and evidence to support this way of healing and bringing about transformations in our lives. Working creatively works faster than just talking alone as it allows us to access more parts of the brain than when we use language alone.